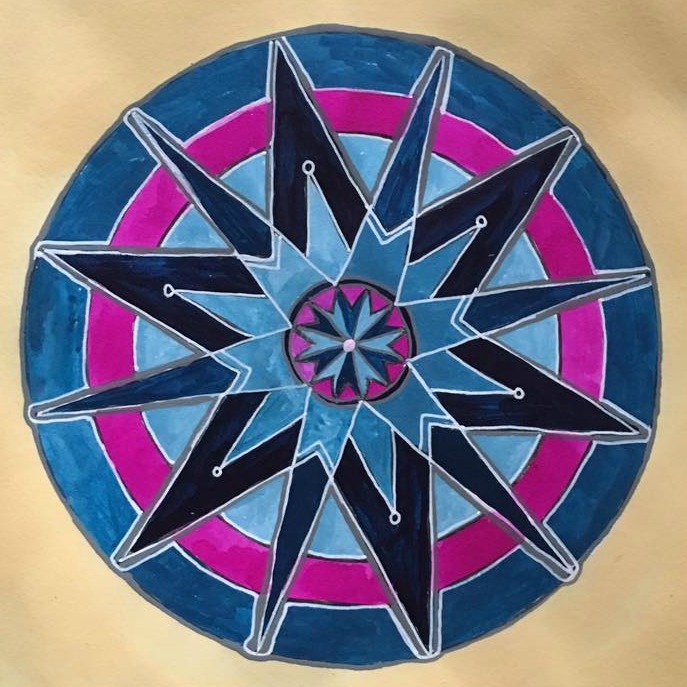 MANDALA MAGIC is a YEAR LONG ONLINE SELF INQUIRY PROGRAM that uses ART + JOURNAL THERAPY TECHNIQUES to uncover your personal mythology as revealed through the twelve stages of THE GREAT ROUND OF MANDALA . 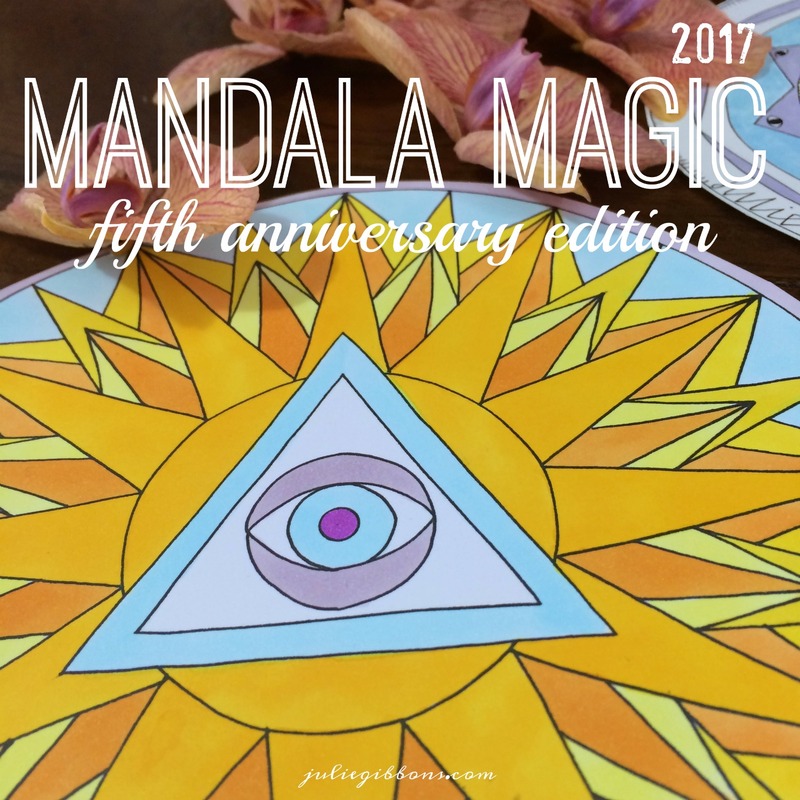 Mandala Magic 2017 is the FIFTH anniversary edition! Each month you receive access to a rich and varied treasury of resources that allows you to undertake a guided, meaningful exploration into who you are, using the mandala as container. When you understand this cycle and learn to translate the symbolic language of your soul, you will come to better understand your past, present and future place in the Great Mystery of your existence! From this state, you become fully empowered and will discover that the choices you make in your everyday life are grounded in true psychological freedom. During the program you will also learn how to design, construct and interpret many different types of mandala – and engage more completely with your symbolic life. You will develop your art journaling process and learn how to communicate with your mandalas and the pages in which they rest. The end of the twelve months will see you complete a full cycle of your circumambulation of Self – answering your psyche’s instinctual call towards realising your full potential. 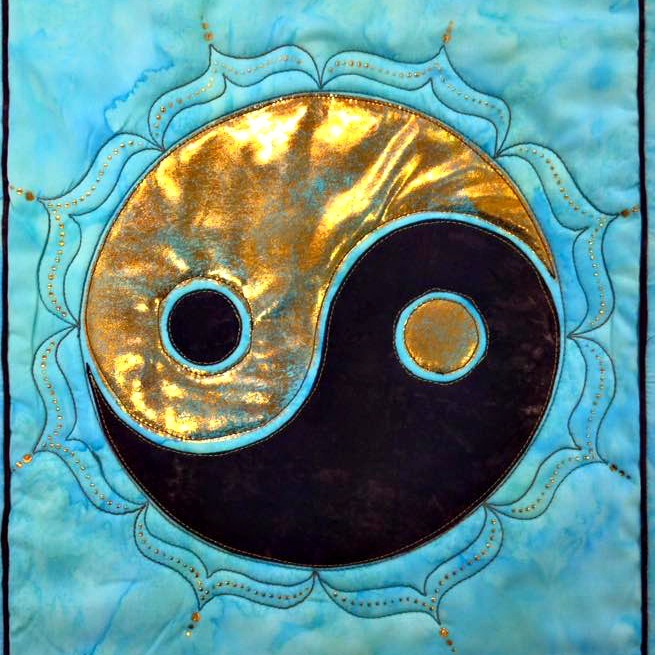 According to Dr Carl Jung, a mandala is the psychological expression of the totality of Self. In my experience, the mandala is an archetype that is moving through our contemporary consciousness at a rate never previously experienced. The mandala is making itself known. It is coming out of hiding and into the consciousness of the greater population. But the mandala is not asking to be engaged with as a popular fad. Mandala Magic is a program that has responded to this archetypal force over the past four years and 2017 is the fifth year during which I will lead this work. Mandala Magic is the result of completely and wholly embodying the mandala principle. Although we use the Great Round of Mandala as a means to engage with the archetype, I have combined a unique blend of Jungian psychology, insights from my personal self-inquiry practice and awakening experiences, years of additional research in world mythology, spiritual practice and philosophy with feedback from hundreds of participants to bring you a deeply grounded experience. You won’t realise it at the beginning, but this program offers you a key that can lead you far beyond the process of learning about mandalas and release you into a state of psychological freedom based on a sound understanding of who you are and where you come from – if you are willing! You are an awakening woman. Being creative is a therapeutic exercise for you. 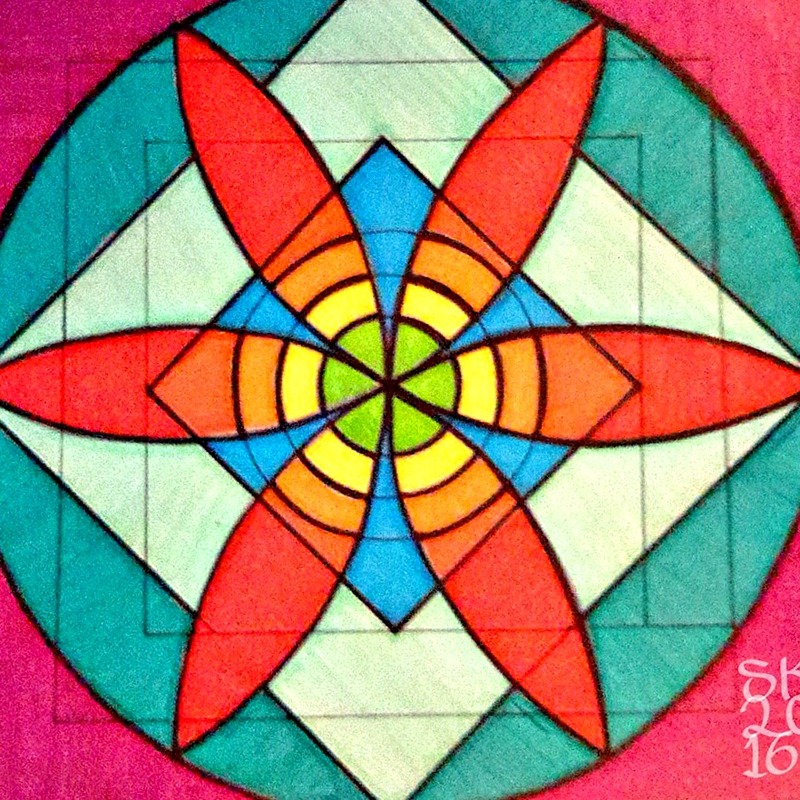 Mandala art attracts and fascinates you. You wish to learn the symbolic language of myth, dreams and archetypes. You may not identify with being an artist, but want to cultivate a creative response to your self inquiry work. Art therapy as a self help technique appeals to you. You are attracted to the exploration of the psychology of self in a creative environment. You know that you’re ready to deepen your art journal practice and would welcome some guidance and group support. Explore the archetypal stages of the Great Round of Mandala. 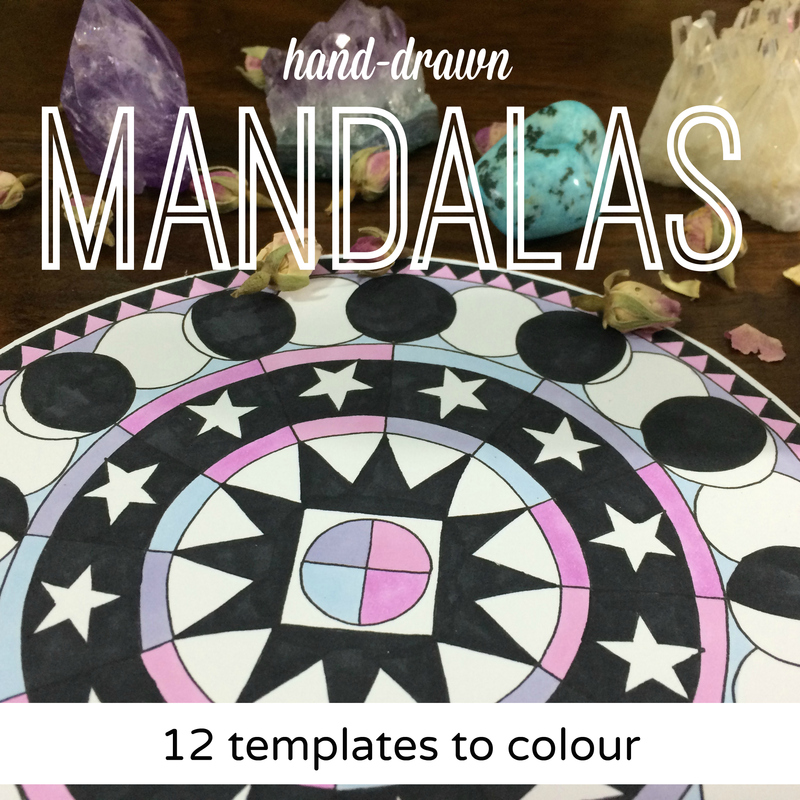 Create (at least) 12 archetypal Mandalas. Connect with our unconscious wisdom. Reveal the patterns and designs of our emerging Self. Learn how to interpret our creations. Explore the psychology of self. Establish a monthly art journal practice. Inspire our journey towards wholeness. Detailed Getting Started information pack, including supplies list. Video Introduction to the archetypal stage for the month. Introduction to an aspect of the psychology of self or self inquiry. Downloadable PDF Guidebook with step-by-step instructions. Alternative mandala exercises + invitations inspired by each stage. Before and after journal prompts for guided reflection. Lovingly crafted sonic mandalas (music playlist) for each stage. Further recommended resources + inspirations to delve deeper. Sorry, registration for Mandala Magic 2017 is now closed! Please refer to the ‘Frequently Asked Questions’ section near the bottom of this page to confirm terms + conditions of purchase and answer common questions regarding payment processing, currency and more thank you! You offer such an amazing and complete course I don’t even know if words suffice to tell you how much it has meant to me this year. The way you have delivered this course – over an entire year is remarkable. At last a class that matters! Thank you for not selling out. It is obvious that you care about your students and their wellbeing as much as you do your own welfare and earnings. You have made the class so affordable and doable, again, words escape me to tell you the gratitude I feel for this experience! Thank you so much for this incredibly delicious and enlightening journey! It is life-changing. I just wanted to write and thank you for your obvious skill and hard work in running the Mandala Magic class. You have obviously done your homework, both internally and externally. Your technical and logistical mastery is most apparent at first glance. But your energetic presence and groundedness is really what seems to “run the show,” so to speak. You set the tone for respect and courage in creative endeavors. You offer us structure without school-marm-ing us to death (or at all!). You’re very open and encouraging without being fluffy or airy-fairy at all. Truly, I don’t know how to best articulate it. But I have worked with other teachers in other online classes, and I have not felt the sense of being held and guided lovingly that I do with your class. Thank you. Thank you, thank you. You don't need to be an artist! Don’t worry if you don’t consider yourself an artist – this program is for creative women of all kinds, however experienced. It is not an art class and is not intended to teach art techniques. 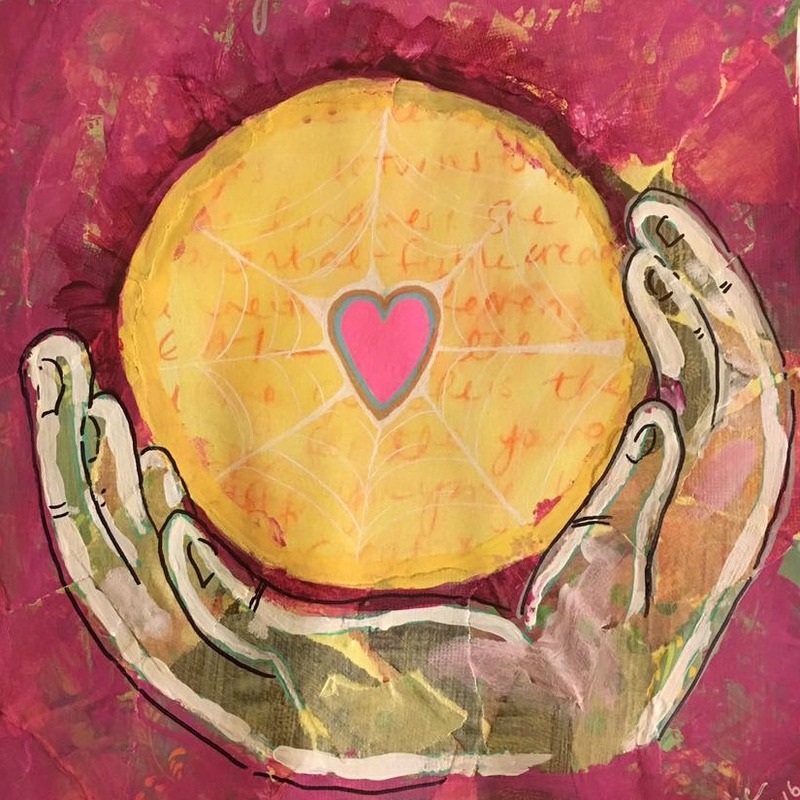 This work *is* a creative self-inquiry class that incorporates art journaling as an expressive means with which to unlock the unconscious aspects of your being. The mandala creation is your container and the form, but you are not going to learn how to become a mandala artist. If you do, it will simply be a by-product of the process. You will learn how to engage your creative potential with your soul’s yearning. You will learn to identify the natural order of creativity as that of Life itself. If you’re lucky, you will at times be overwhelmed by the creative life force and experience the unrelenting aspect of Her as she reveals the Truth of who and what you are. This is most likely when your mandala will be at its ugliest, or it’s most exquisite! 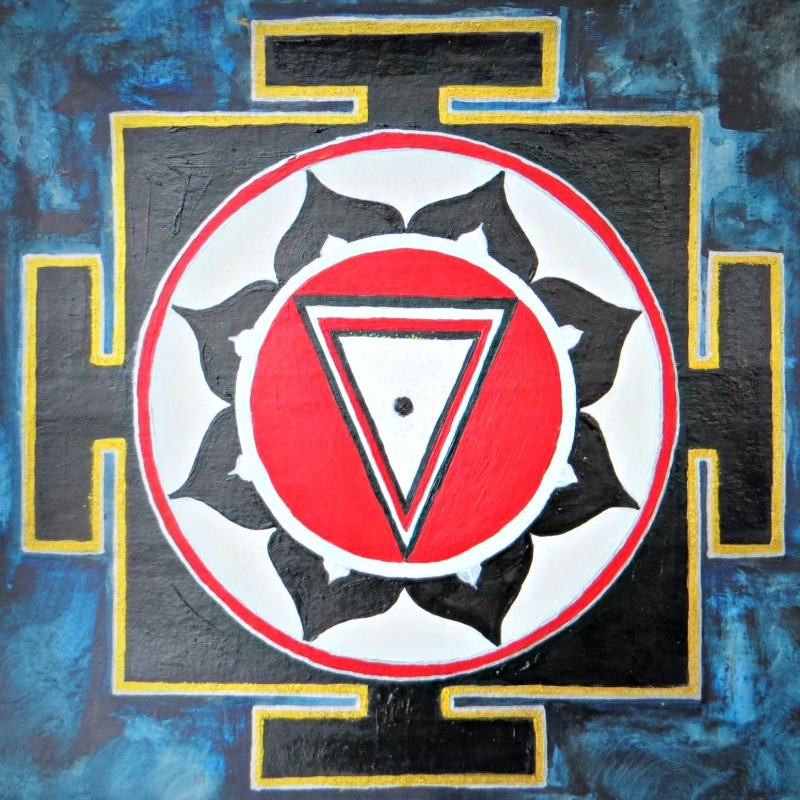 Mandala Magic is ALL about the psychological process, not the art you create. Participants will range from complete beginners and those who were told they couldn’t draw at school to those who are professional artists. Along the way, we each have something to learn from the other and there’s never any requirement to share your mandala creations unless you want to. You certainly don’t need to have a truck load of artist’s supplies to join in and your getting started information pack will contain a list of basic supplies that you’ll need to take full advantage of each of the exercises. That being said, if you do have a truckload of supplies – and know how to use them – you’re going to have a ball! What Is The Great Round of Mandala? 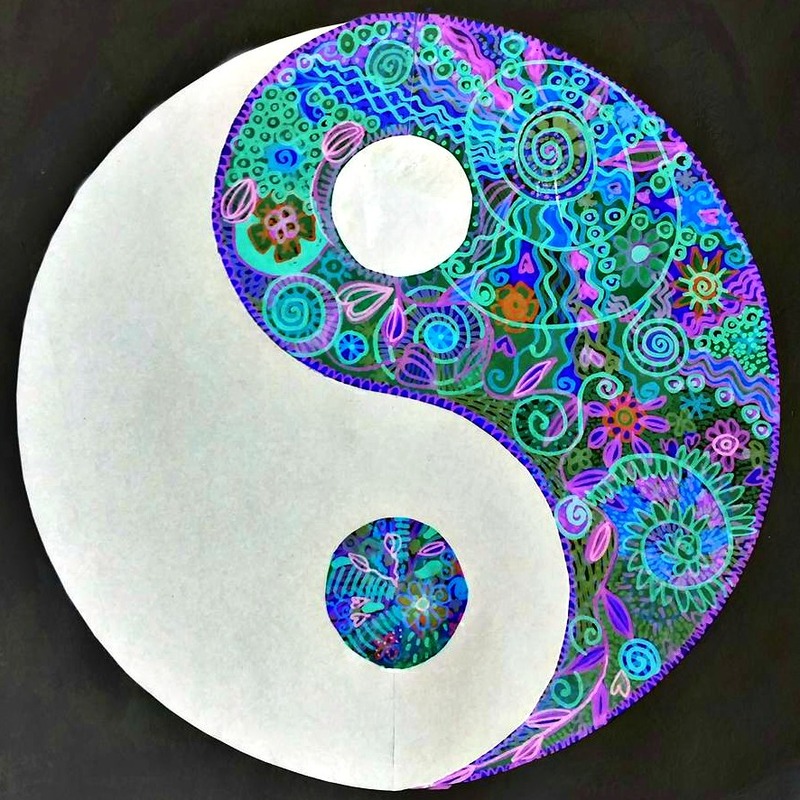 The Archetypal Stages of the Great Round of Mandala is a concept developed by art therapist and founder of the MARI® (Mandala Assessment Research Institute), Joan Kellogg. 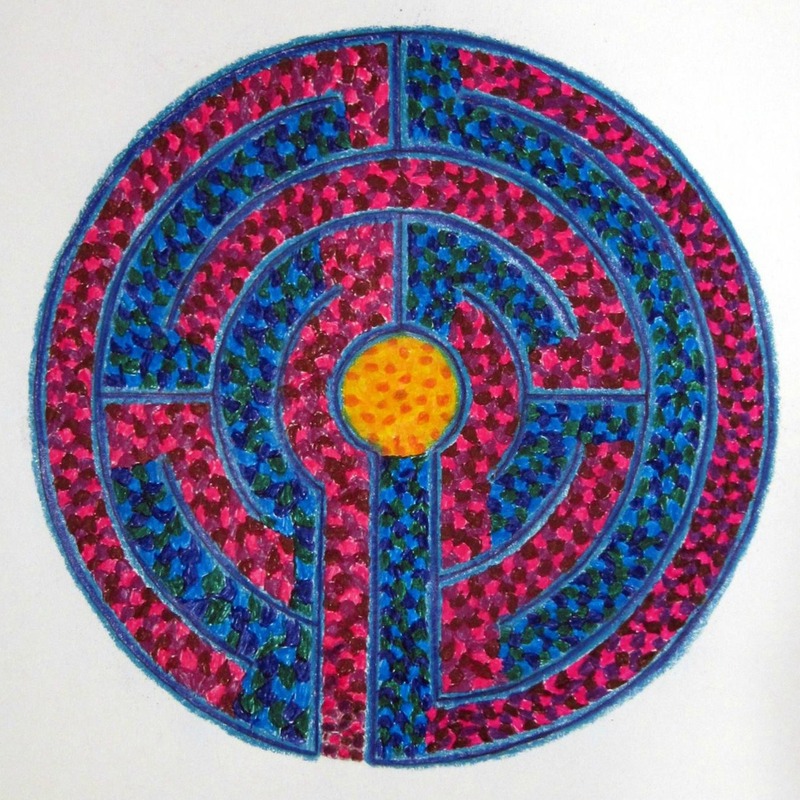 She developed her studies of Jung’s theories in parallel with her own work as a mandala artist to form the basis of significant psychiatric therapy research. Kellogg believed that as we fulfil our potential towards wholeness, we revolve around the stages of the Great Round, meeting our true Self stage-by-stage. The Mandala Magic 2017 program follows Kellogg’s cycle of twelve archetypal stages as first introduced to me by way of Susanne F Fincher’s The Mandala Workbook. 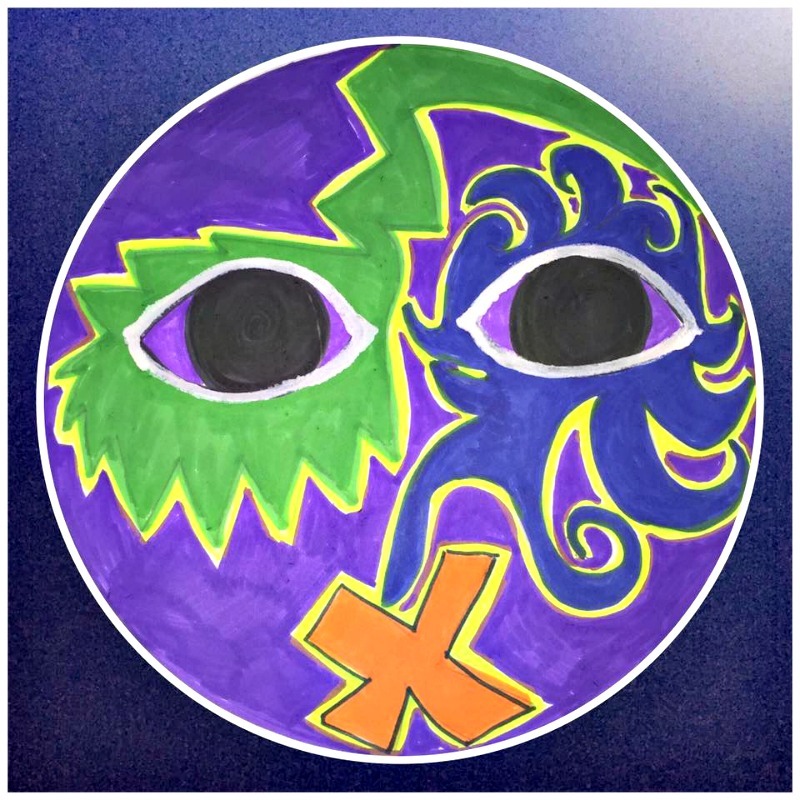 Mandala Magic explores beyond those original sources to bring the concept out of theory and into embodied awareness, incorporating years of independent research, training and experience. A small sample of contributions from current Mandala Magicians. At first, I was unsure about taking on a year long course. Although I am, depending on who you ask, an artist, I had never done an art journal and I didn’t know what to expect, but I pushed the “buy” button anyway. I was ushered, like Alice Through the Looking Glass”, into a wonderful world of self exploration through an amazingly extensive program of art techniques – easy ones, panic not – magical musical playlists, and a loving, gentle White Rabbit to guide me through it all. Julie’s quiet calm presence and extensive knowledge of the art and the Great Round of Mandala made this an amazing experience for me. Although there is a new lesson every month, you can progress at your own pace and take from it whatever you need. There is a wealth of information and things to explore and there are no right or wrong and no mistakes…how often does life offer you that at any price? Mandala Magic is a wonderful program and pushing that “buy” button was one of my best life choice so far. This course Is beautifully put together and is truly a journey into your own soul. This course is the gift of allowing yourself to discover who you really are, how to appreciate and love the qualities of yourself you wish to keep and to make changes with the things that no longer serve you. Step by step your are unraveled and gently put back together. Can’t recommend it enough to those who are looking discover their true self. Thank you Julie for sharing your passion in such a beautiful way. Mandala Magic is such a juicy experience! So much so that I’m on my third year/round of taking this course. Every year goes deeper, and I can feel myself release just a little bit more into this beautiful experience that Julie guides us through. It is so many things – self reflection, creative expression, mandala-making, processing and healing, letting go and inviting in, being part of a wonderful community. Julie is gifted in her ability to be present and guide us through the year. The course overflows with content and beauty, all created with love by Julie, and provides a suggested structure for the experience. And yet, everything points inward to the personal, to following one’s intuition and to participating in a way that feels good. There is something for everyone and can (and will!) be experienced in so many different ways. This experience brings so much added beauty to my life. 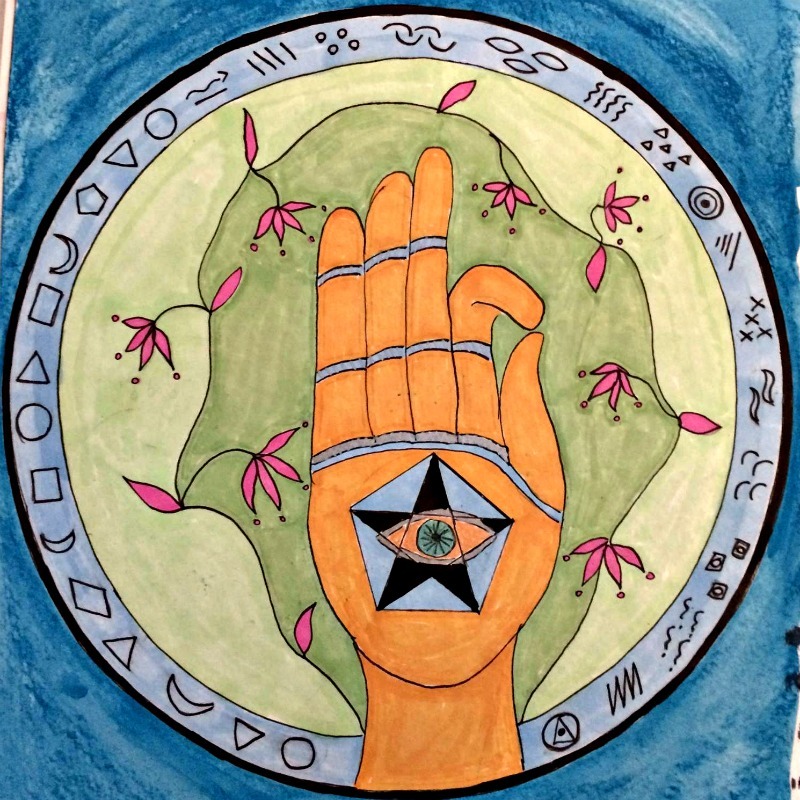 My creative juices had been somewhat dormant before beginning the Mandala Magic course. Having these juices unleashed is not only an enjoyable experience in the moments of creating Mandalas, this burst is beginning to permeate other aspects of my life. Julie is a Master at teaching using the modern technology of video demonstrations. It someone has asked me some years ago if I would be interested in taking an art class online I probably would have thought this was not feasible. Not only is it feasible it is very effective and efficient. I love the connection on Facebook with other participants around the world and the supportive feeling of these connections. Thank you Julie for your genius and your heart connection to this process and to us. I have been on an inner work journey for years and have organized women’s group for years. This course is outstanding in combining mind, body and soul inner work. The Mandala Magic course is like being taken on a magical journey if you go within and trust the process. I am so in love with the Mandala Magic year long art journaling program. From someone who has never done art, beyond stick figures and doodling, I am learning so much. Mandala Magic is so much more than an art journaling or art class though. The way Julie takes us through the stages of the year with so much self exploration while making art and journaling has been amazingly healing to me. In the beginning of the year I had a very stressful life event and Mandala Magic was exactly the stress reducing, life support I needed to completely take my mind off my problems for awhile. When I tune in and work with Mandala Magic the rest of the world shuts off; I then come back to “life” centred, grounded and balanced. Thank you Julie for the amazing content, teaching, music, meditations, and mandala wisdom. 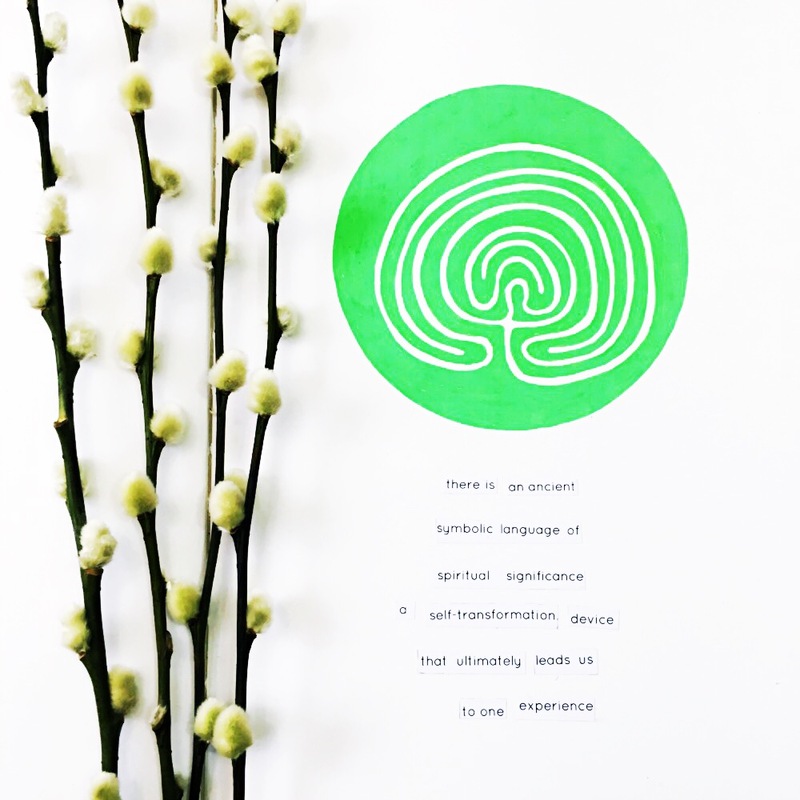 This course has been a beautiful way for me to learn to integrate practice into my life. It has been a challenge, but knowing that a new lesson is due each month motivates me to keep going, even though there’s no pressure to finish it as it becomes available. This has been a lesson for myself, that it is all up to me. Do it or don’t it is my choice, always directing me back to myself as the only one responsible! Might sound scary but it is where the power lies. I highly recommend this program to anyone who has any interest in self discovery and spiritual awakening. This program provides a creative and loving atmosphere to express yourself and to learn about the self. It is encouraging, yet it is also no pressure. I feel that this program has always met me where I am on the journey and at each turn I discover something new and wonderful! Thank you Julie, for providing such an environment. I feel blessed to be a part of this community! 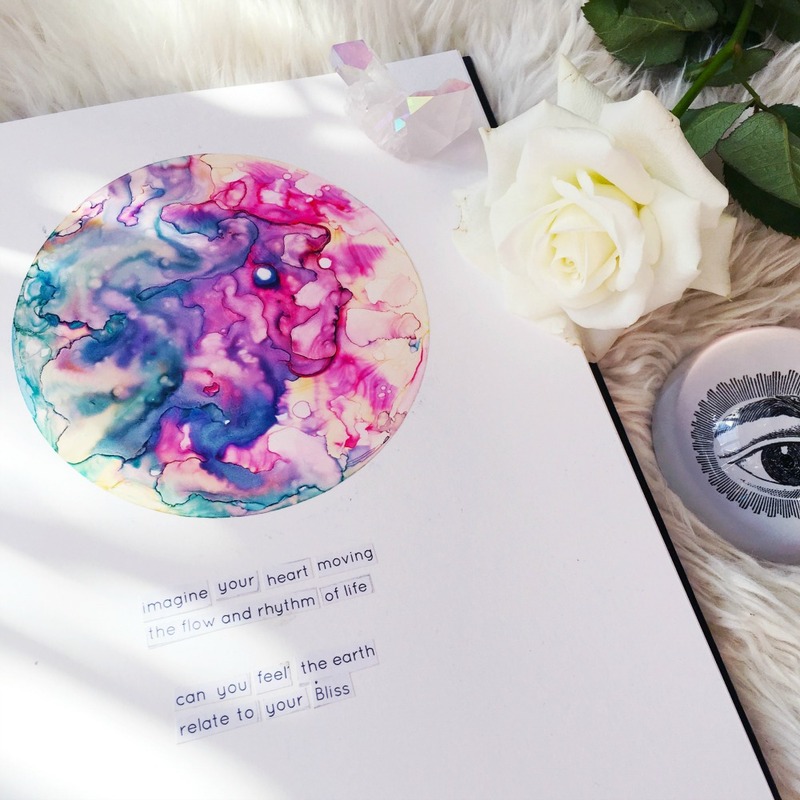 Mandala Magic is designed for awakening women who wish to explore the psychology of self using art + journal therapy techniques, realised in mandala form. Participation is open to men, although it has been written from the perspective of a woman delivering the content to other women. 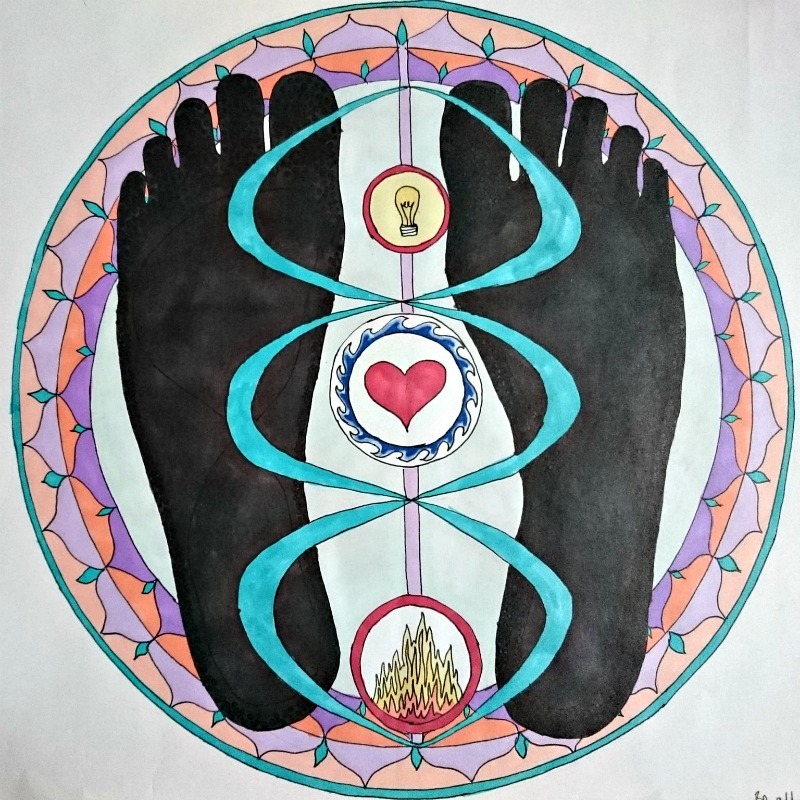 You don’t need to be “good at art” to take part in Mandala Magic, although you’ll get the most out of it if you already enjoy creative exercises and have a desire to create drawings and images that carry meaning for you. 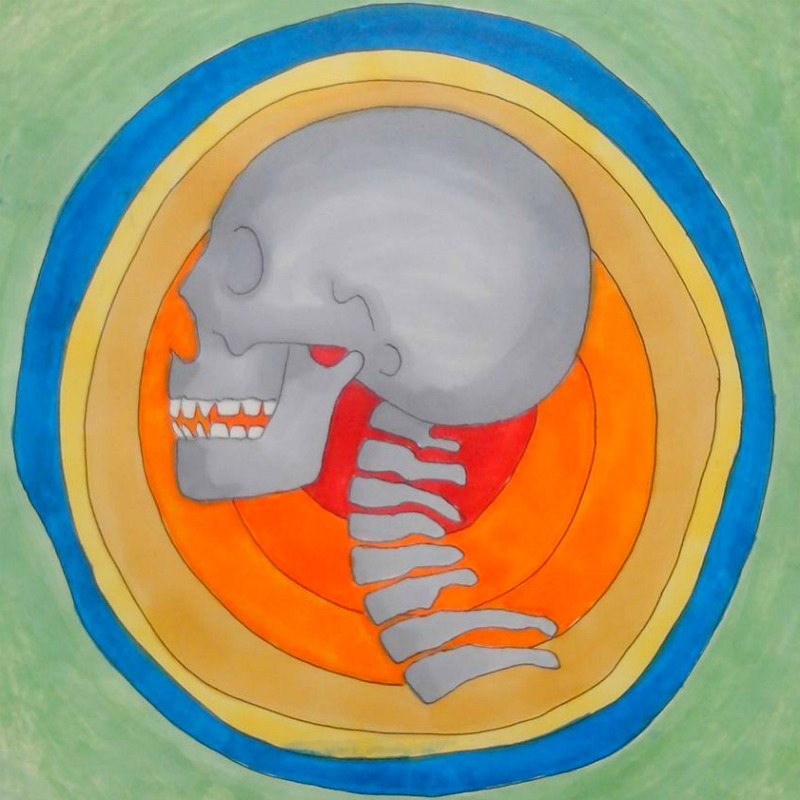 The program focusses on the process of using art to explore your psyche – and uncover your true nature, so there is no pressure to produce any result other that the one that arises. You will definitely need a journal, sketchbook or other paper upon which to create your mandalas. You can make it as fancy or ordinary as you like – this is your mandala experience. I prefer to use sketchbooks designed for art, rather than journals designed for writing. These come in a variety of types and sizes – my favourite is a UK size A4 or a US size 12″x9” and I like the books made by Stillman & Birn (Zeta series) and Strathmore. You can use a smaller book or paper, but you’ll find it quite limiting and soon feel the need to expand! You’ll be given a full list of supplies demonstrated throughout the year + where to buy them. There is additional reading material for you to enjoy, with recommend resources to follow up with, so you can expand the work if you choose. The content will be delivered on my website with a mix of writing and some video, so you will additionally need to be able to stream video and audio. I use Vimeo to host videos, so please make sure you are able to view videos hosted on that platform. The content is hosted on the website for you to access at your own pace. There’s no need to show up at a specific time, so you won’t miss out if you’re in a different time zone, or need to login after your day’s work. The content is released monthly and video files and the PDF Guidebook are available to download for forever access. You need to complete this registration to access the classroom/membership site for the Mandala Magic 2017 program. STEP TWO: Additionally, you will receive a confirmation request email from Julie Gibbons Creative sent to your PayPal email address. Please confirm your subscription to make sure you receive class emails throughout the year. You may change your email address anytime by clicking “update your preferences” at the bottom of those emails. Getting Started Information + Bonus Lesson become available 5th December 2016. Stage One of Mandala Magic 2017 is released on 1st January 2017. 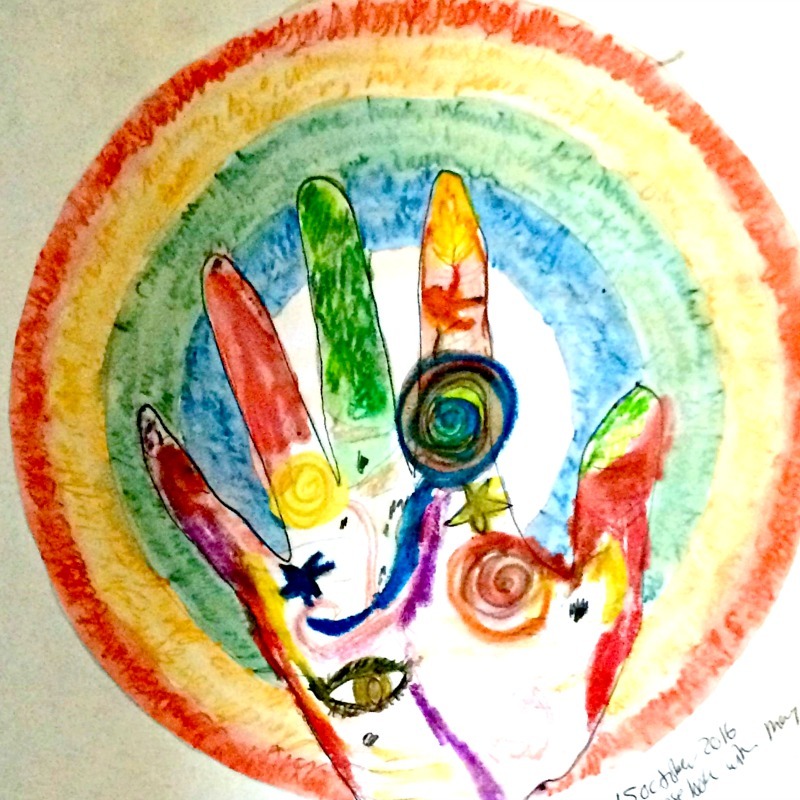 Mandala Magic is a self-guided self-inquiry program and is not intended as therapy or as a substitute for healthcare or medical advice. Please ensure you have in place a suitable support network and inform your healthcare professional that you are taking part before you commit. Many participants share their Mandala Magic work with their therapists and counsellors with meaningful results. Mandala Magic is a year-long program, which opens for registration once per year and runs from January – December. Single payment is £180 (*approx $223USD). Monthly payments are £15GBP (*approx $18.65USD) (payable each month x 12*). The cost of MM2017 is listed in £GBP and *all other currency listings are approximate and depend entirely on the daily exchange rate – check www.xe.com for currency conversions. Refund Policy: Before the start of the program (Dec 5th 2016) you can request a refund for any payments made. Please bear in mind that Mandala Magic 2017 is not a subscription program. This means that when you select the Monthly Payment Plan, you agree to completing twelve payments – thank you! When you register for Mandala Magic 2017 you automatically agree to these terms and conditions. Further terms for participation in the website classroom can be read here. Thank you!